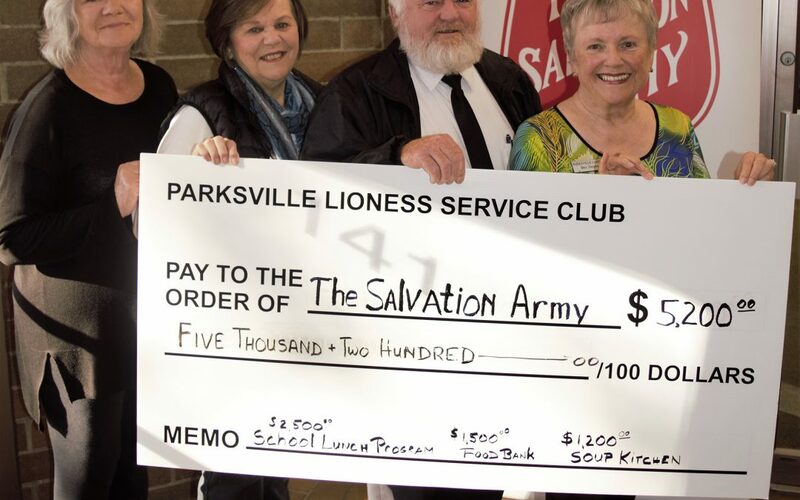 We are grateful for the support of the Parksville Lioness Club for their donation of $5,200 in support of our food bank, soup kitchen and school lunch program. Over the past year the Lioness service club has decided to intentionally focus on food insecurity in our community and on educational aid to students and young adults in financial need with the belief that food and education are the building blocks for a stable society. We thank the Lioness Club for their generous support.